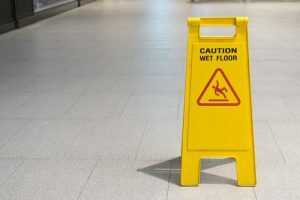 Premises liability, sometimes called slip and fall cases, depend upon showing that the premise owner/lessor knew or should have known about a dangerous condition and failed to take reasonable action to prevent injury and harm to persons who would come into contact with that property. The amount of care that is owed to the injured person depends upon whether the victim is an invitee, licensee or trespasser. Generally, a greater duty is owed to those persons who are coming on the premises for the landowner’s benefit. Responsibility does rest with the injured person to be watchful of where they are walking and to take reasonable precautions to protect oneself from injury. Under appropriate circumstances, damages can be obtained for injuries resulting from falls upon another’s premises, if there is a danger that could not have reasonably been anticipated by the person who sustained the injury. A thorough investigation of the scene and the circumstances surrounded the incident that resulted in the injury are necessary before any decision can be made as to the merit of a claim. These claims are extremely difficult to win, because the law places a heavy burden upon the injured person to show that he or she was acting in a cautious manner. Nevertheless, where there is an unseen danger that was known to the premises owner/lessor, a proper award of compensation can be obtained. If you believe you have been wronged or injured, please contact us. A landowner can also be held responsible for injuries or death that resulted from the failure to provide adequate security. If a premises owner invites others upon the property, either as a tenant of an apartment complex, for example, or as a customer to a retail store, there must be provided adequate protection from foreseeable harm. Prior criminal activity in the area can place the premises owner on notice for the need of increased protective measures to prevent harm to those who the owner has encouraged to come upon the premises. The failure to provide that protection can result in liability for the consequences. If you or a family member have been injured or killed by the failure to provide adequate security, contact a Georgia Premises Liability Attorney right away. A. Russell Blank LLC providing Personal Injury services in Snellville, Gwinnett County, Dekalb and Fulton, Georgia. Live Representative Available Hello, my name is John, how may i assist you? Legal Disclaimer: This website of A. Russell Blank, LLC is intended to provide informational material and not to offer any legal advice or the significance of any state or federal laws. Statutes change and recent court decisions may alter the accuracy of what is contained on this site. So, any decision concerning a legal matter should only be made after personally consulting with an attorney. Nothing contained in this website shall create an attorney-client relationship. Using any information or content from this website is strictly prohibited. © 2019 A. Russell Blank, LLC. All rights reserved.